Looking for a perfect present? Give the gift of a new language! Italian School NJ Gift Certificates make the perfect birthday, anniversary or holiday gift for your loved one! At Italian School NJ, conversation skills are a priority for both our staff and our students. Having encountered many adult students who were frustrated with their lack of fluency after years of study, we devised a curriculum that gives priority to conversation, while concomitantly enhancing the conceptual understanding of the language through a thorough explanation of the grammatical structures. 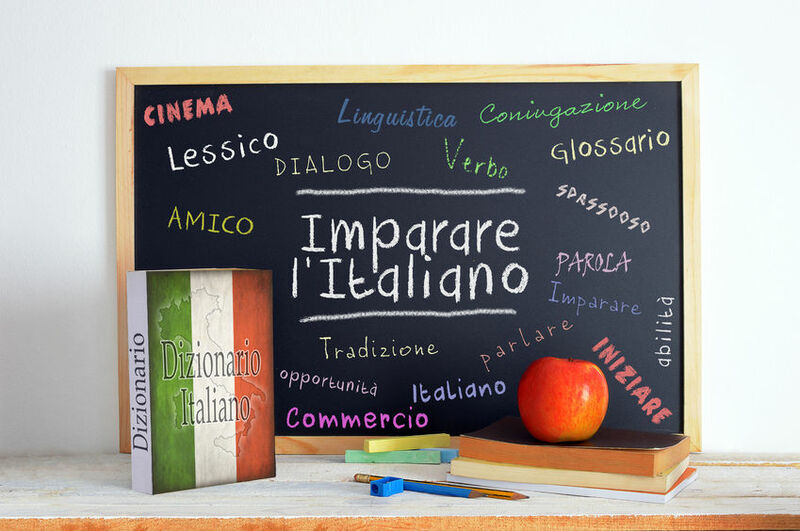 All classes are conducted mainly in Italian, in accordance with our full-immersion philosophy, with the exception of some beginner courses. Each class is structured around the integration of texts and supplementary materials (i.e. handouts, videos, etc..) handpicked to create an equilibrium between verbal and written fluency, while simultaneously using in-class conversation, role playing, and other games to increase practical expression. Student-to-student interaction and repetition are paramount in creating an environment that both encourages and enhances verbal skill, and we put a premium upon ensuring that each student reaches both the benchmarks set forth by our curriculum, as well as their own personal goals. Our adult & youth weekday classes are held at our new location, 49 Ridgedale Avenue, Suite 200 East Hanover, NJ (intersection of Route 10) conveniently located near Interstate 287. Our Saturday programs are held at the Chatham Day School, 700 Shunpike Road, Chatham Township, NJ. At Chatham Day School, students will enjoy state-of-the-art classrooms, smart boards, gym and theater. Italian School NJ has moved it’s Saturday programs to Chatham Day School to incorporate other activities besides academic such as soccer, gymnastics and theater, all in Italian! • Fall-Winter starts the last week of September and ends in mid-February, depending on snow days. • Late Fall courses start Mid-November and ends in mid-March, depending on snow days. • Spring semester is scheduled to follow immediately after the Fall-Winter semester and ends Mid-May. •. Full Immersion Programs for all levels and ages. Private Classes available Year Round. Email us to schedule. The school is closed on Thanksgiving, Christmas, Easter, Memorial Day and other holidays or school breaks.